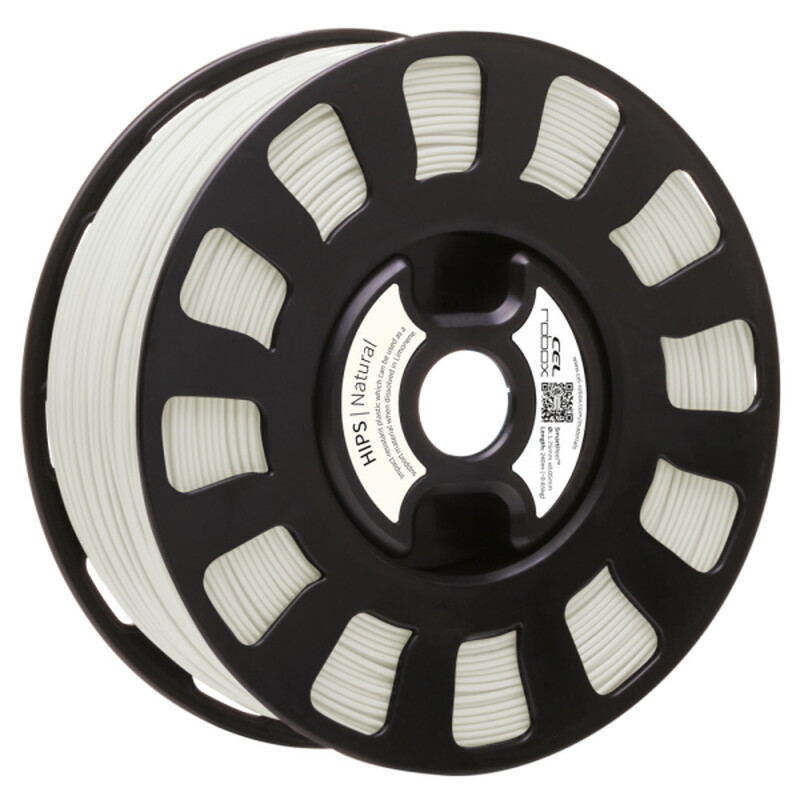 A full reel of high quality HIPS filament. This high quality material is as strong and stiff as ABS, but is much easier to print with as it is less likely to shrink or warp. HIPS is a dissolvable filament that is frequently used as support material because it is so easily removable, however the material is also unique as you can sand, glue, prime or paint your prints. This extends the possibility of what you can produce on the Robox – beautiful, functional, bespoke prints decorated any way you want. When a dual material print is created using HIPS as a support material and a second material for the the desired finished part, Limonene can be used as a solvent which will soften and eventually disolve the HIPS. Care should be taken when using Limonene, always read and understand all warnings.